A follow-on job is an effective way to keep a track on the continued work of an otherwise completed or closed job. Since follow-on jobs bear the same ID as the original job appended with a serial number, you can search for all the related jobs with just the Job ID. 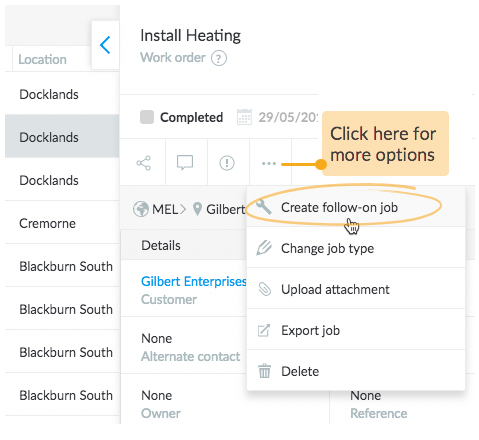 To create a follow-on job, select the job in either List view or Map view. 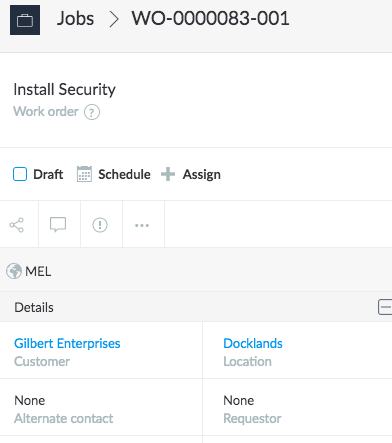 The new follow-on job will contain all details as the original job, except work log hours, charges and history. Now, continue the same process of assigning (if not yet done) and setting the appointments as you would usually do for a normal job.